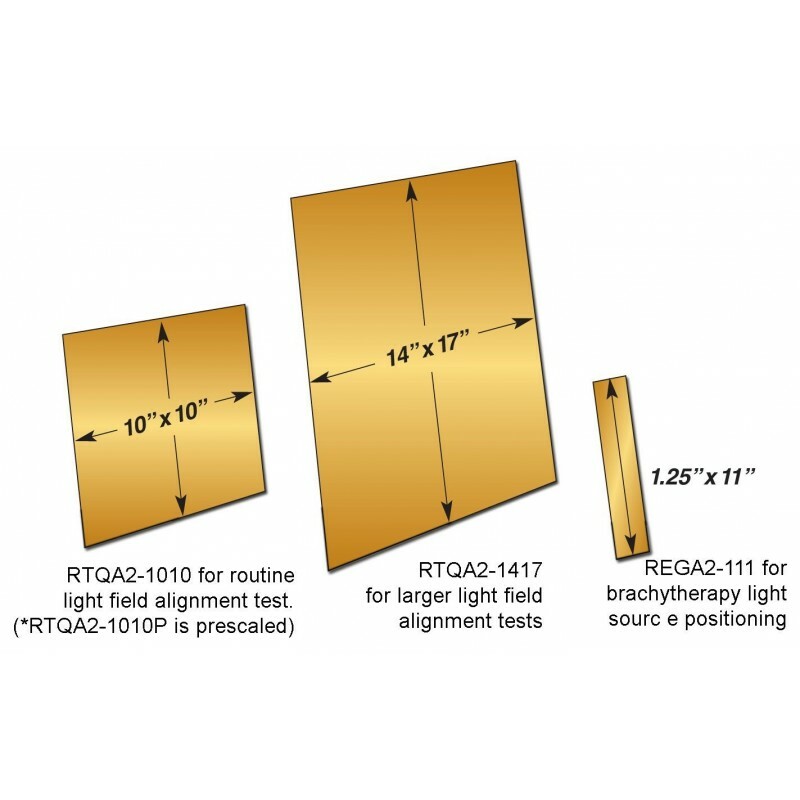 Gafchromic Film, RTQA2-1417, 14 x 17 Inch, for Larger Light Field Alignment Test - Radiation Products Design, Inc. The GAFCHROMIC® RTQA2 self-developing radiochromic QA films are for faster, easier, more convenient, and less costly QA testing of radiotherapy sources and the commissioning of therapy equipment. Specifically designed for LINAC / accelerator machine QA such as light field / radiation field alignment tests, precision star shots; also position verification for HDR, and autoradiography of implantable seeds, plaques and other sources. 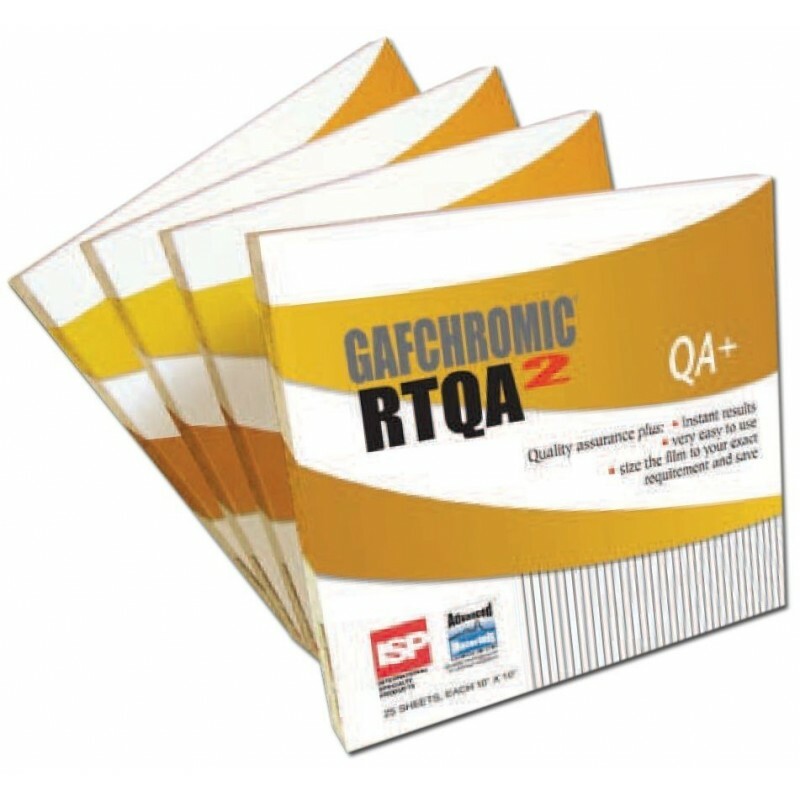 GAFCHROMIC® RTQA2 is a high performance processor-less film for quality assurance exceptional accuracy with ease of use and featuring outstanding cost effectiveness. GAFCHROMIC® RTQA2 quality assurance film has been designed by leading radiochromic film scientists and provides state-of-the-art results in radiotherapy environments, while tapping all the exciting advantages of processor-less technology. GAFCHROMIC® RTQA2 radiotherapy film is an excellent, hassle-free tool for the contemporary and processor-less environment. Just position and shoot. With real-time self-developing, your results are available in seconds! No darkroom or chemicals are needed. After exposure, if the light field is not aligned with the radiation field, the discrepancy is visible immediately. Simply adjust the field accordingly and move on. In most cases, a second exposure is not required. Alignment can be achieved in an exceedingly short time. RTQA2 can even be observed through the monitor, and evaluated while it develops! Saves time and money as less film is used for each alignment, the film can be handled in room light and can be easily cut to the exact size called for. Excellent for autoradiography of implantable seeds, plaques and other sources. Gafchromic® RTQA2 is made by laminating an active layer between two polyester layers. The polyester surface makes an exceptionally robust product and allows water immersion. NOTE: The response of GAFCHROMIC® RTQA2 radiotherapy film is dependent upon factors specific to the facility such as the energy spectrum of the radiation source, the characteristics of the densitometer, film scanner or other means of measurement and the elapsed time between exposure and measurement etc. Therefore, the user should determine the dose-density response under the conditions pertaining to the user's facility and measurement protocol. 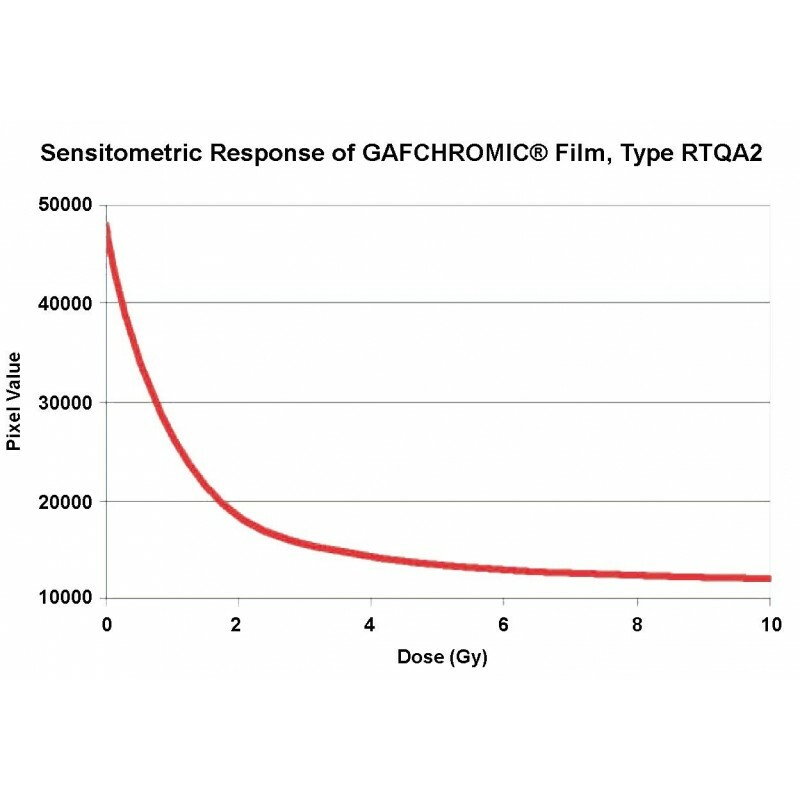 Since the absolute response of GAFCHROMIC® RTQA2 film may vary from lot to lot, the user should re-measure response when changing to a new lot number.